You've been injured and find yourself out of work. Are you really going to put your trust in your employer or an insurance company to make sure your financial concerns are taken care of? No, I didn't think so. At The Law Offices of Jeffrey G. Scott, PLLC you will get personalized attention that is focused on one thing: helping you get your workers' comp claim moving forward and the money flowing to your family as quickly as possible. I have nearly 20 years of experience fighting on behalf of injured workers and those who have suffered an injury or lost a loved one as a result of the fault of some third party. Personal service is important to someone who has suffered a serious injury and is worried about what the future holds. As your lawyer, I will work with you and your medical providers to help you gain the fullest possible recovery from your injury. Then I will seek compensation that not only takes care of your needs now, but also looks ahead to what you might need in the future. I represent truckers, maintenance workers, nursing care attendants, salesmen, warehouse employees, hospital employees, construction workers, industrial workers, professionals, factory workers, manual laborers, tire makers, and other working people and their families in all of North Carolina. I believe once you retain the services of the attorney in this office, you should expect to talk to that attorney, and you will. I believe this is what those in need want and, quite frankly, should expect and actually receive when you retain the services of an attorney. Nothing less than direct access to your attorney is what you will get with my firm. Work With the Lawyer You Hire. Work Directly With Me. I will go to bat for you and will litigate your case when necessary. I always consider the best interests of the client not just in the near term but down the road as well. It is your future that dictates how this firm will handle your case. One of the most frequent complaints I hear about the legal profession is that people never get to speak to their lawyers. They are always passed off to support staff or their lawyer never returns their phone calls. At my law office, that won't happen to you. My law practice is not built on serving a high volume of clients. Instead, I select my cases carefully and devote a great deal of time and attention to each client, attention one should expect and quite frankly deserve. 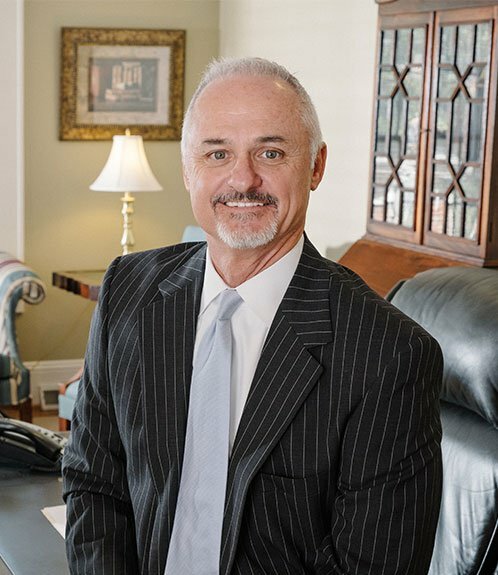 From my offices in Charlotte, I represent clients throughout the Charlotte metro region and communities throughout the State of North Carolina. Contact me by phone, fax or e-mail to discuss your workers' compensation or personal injury claim today.